Astrid does everything with her best friend Nicole. But after Astrid falls in love with roller derby and signs up for derby camp, Nicole decides to go to dance camp instead. And so begins the most difficult summer of Astrid's life with changing friendships and ever-growing derby bruises. As the end of summer nears and her first roller derby bout draws closer, will Astrid be able to handle the bout, a lost friendship, and middle school? I sat and read this book in one fast sitting; I couldn't stop turning pages! The story was fantastic and SO well-done. It really captures the emotion of the changes in friendships and personal interests that often occur around middle school—especially as a graphic novel. The art was perfect for the story, and helped convey that emotion further. On a more personal note, I myself had a best friend (ironically, also named Nicole) that I lost at that age as we changed our interests, so this book really means a lot to me. Plus! 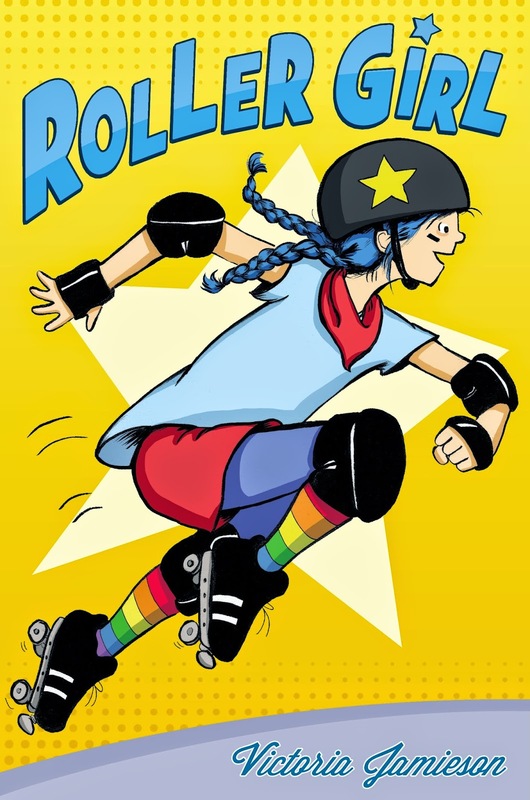 It's a great introduction to roller derby! Totally recommended! Also, in terms of book pairings, it's an easy fit with El Deafo, in terms of a strong heroine dealing with challenges and friendships. And that they're both graphic novels, of course.